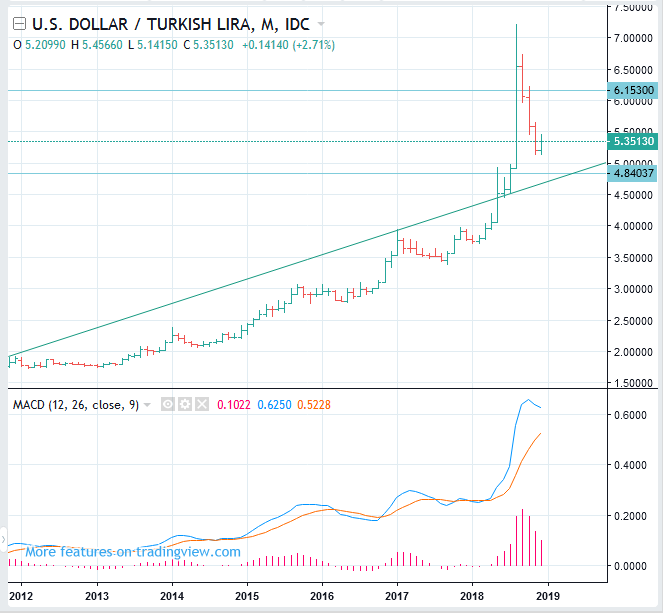 USDTRY, the Turkish lira rate is likely to move in the range of 4.84 to 6.15. The rate we should pay attention to is 4.84. If USDTRY rate drops below 4.84, it means that it can fall to 3.0. So, a very fierce battle is likely to happen around 5.0. It is not a good time to trade now. As everyone knows, Turkey is in an abnormal situation. The future of the Turkish Lira depends on whether Turkey keeps its sovereignty or succumbs.